I’ve written before on almost always being a late adopter, and finally reading Shiver, by Maggie Stiefvater, this autumn kept me well within my tradition of being in this role. Shiver was published in 2009. In 2007, the sequel Linger debuted in the number one spot as a New York Times Bestseller, and the series spent more than 40 weeks on the list. I have a young adult book blog. I’m a huge Twilight fan. I seriously don’t know how I missed the memo on this series, but I guess better late than never because this series is fantastic. For years, quiet and responsible teenager Grace has been watching the wolves in her backyard. There was one wolf with yellow eyes that she watches in particular. Meanwhile Sam has been watching Grace. He’s been watching her in the winter when he is a wolf with the pack and in the summer when he works in a bookshop. He doesn’t exactly understand how it works, but whether he is a wolf or a human, but it’s tied to the whether and the temperature. When Grace meets Sam, even though he’s in human form, she knows it’s her wolf. But as temperatures drop and winter approaches Sam has to fight to stay human. Otherwise he might lose Grace, and possibly himself, forever. The books alternate perspectives between Grace and Sam, and in subsequent books the points of view of other characters are added into the narrative. While the central story is the romance between Grace and Sam. A romance, that like many YA novels, feels fated. The multiple perspectives add depth. Seeing Sam’s perspective, how he respects Grace, and how each character at times make individually selfish choices, makes the trilogy more than most young adult romances. What I liked most about the books was Grace and Sam’s relationship. What I found most impressive is how the scope in each successive book widens. Throughout the series as the stakes raise from just the existence of their romance, to the existence of the pack. Grace and Sam both have to make difficult choices. I found both these situations and the characters’ decisions unexpected, but believable. So if you, like me, missed the Shiver train the first time around I suggest checking the books out. The fourth and last book of the series is coming out this year so now is the perfect time to immerse yourself in a world of fairytale werewolves and teenage love. This entry was posted in Book Reviews and tagged Book Reviews, books, maggie stiefvater, Shiver, The wolves of mercy falls, Werewolves by Alison Doherty. Bookmark the permalink. I agree that the the third book (which at the time I thought was the final book) lacked closure. I kind of like the fact that I honestly have no idea how the books will end though. I love all the different parent / child relationships in these books. I meant to talk more about this in the review. I think both Grace and Sam come from really interesting and problematic families, which also adds a lot of depth to their story. Grace’s family kept making me SO MAD especially. Should I give this series another try? 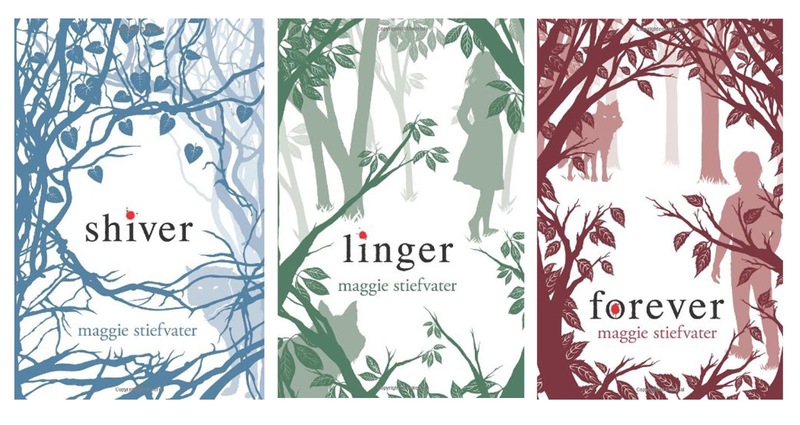 I love Maggie Stiefvater, but Shiver was not a favorite for me, so I didn’t continue. If you didn’t like Shiver I wouldn’t necessarily continue. Linger did change in that it added two new perspectives so it felt much less about the kind of insta-love romance and more about the town and the wolf pack. However I haven’t read anything else by Stiefvater yet so I don’t really have anything else to compare it to. You know, all weekend I was trying to find a good YA series to take my mind off some stressful stuff going on right now… And I think we have a winner! Thanks for the suggestion, I’m going to see if I can download the e-book tonight. This series was definitely an escape for me. I basically started reading them and just couldn’t stop I was so wrapped up in Sam and Grace’s story. Better late than never I always say. And if you haven’t read The Scorpio Races, by Maggie Stiefvater, well then you might add that to the list. Thanks! I will definitely add it to my list. I would love to read more of her novels. I read Shiver a while ago, around when it first came out, and really enjoyed it. I did not find the other ones (especially Forever) quite as good. I agree with you that the different perspectives and the Grace/Sam dynamic make the series. I can see that since the books are all so different. Thanks for commenting!